Now that winter is safely behind us, many snow plow professionals have either already stored or are preparing their plow for storage. After such a brutal winter, sometimes preparing your snow plow for storage alone isn’t enough. If you took the plow off this spring and noticed that your plow has more than the usual wear and tear damage, you may want to consider refinishing it. Take a look below for some tips concerning snow plow refinishing. Regarding BOSS snowplows, the original paint coating on them is a baked on powder coat and there is no way to repair a small patch of powder coat with more powder coat. You’ll just have to use normal paint. BOSS offers the classic BOSS red and black paint, which you can purchase through your local dealer. However, if you do wish to refinish your plow with powder coat, there are professional refinishing shops that could reapply a powder coat for you. Tip # 1 – PREVENT RUST BEFORE IT BEGINS: The best way to make the refinishing process easier is to prevent most of it in the first place. After big snow events, the salt and snow can really take a beating on a snow plow. Try to wash your plow after major snow events to prevent salt from building up. After each wash you need to grease all the moving contact points. You should also keep an eye on the electrical connections to ensure that they are not being corroded. 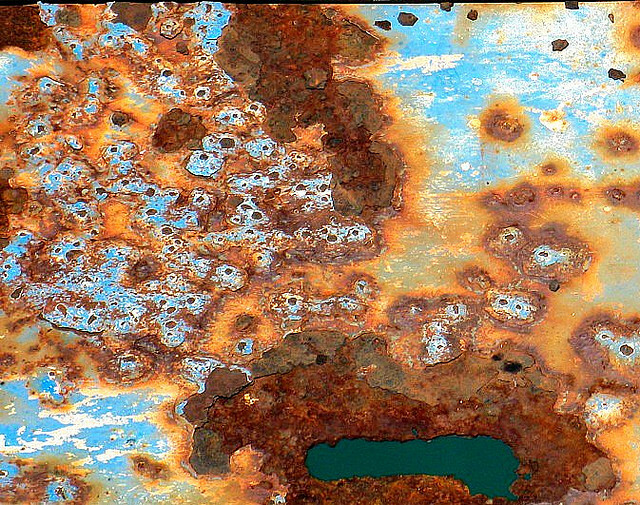 For more information on preventing snow plow corrosion, check out the link to this blog article. Tip # 2 – THROUGHLY CLEAN THE PLOW: Before you do any refinishing you should make sure your snow plow is clean from any dirt, salt or grease. Hose it down and use some soapy water to remove any grime. Tip # 3 – GRIND PEELING PAINT: For small areas of wear or peeling paint, you can grind the area with a disk grinder or a wire brush. The amount of rust or paint you need to remove will determine the size of the grinder you will need. After you’re done smoothing everything out, it’s just prime and paint. For priming, it’s best to use a zinc based primer or something equivalent to a zinc based primer. Apply paint to your snowplow with a sprayer. Tip # 4 – DIY SANDBLASTING OR FOR HIRE: If your plow requires an entire repaint, you may want to consider sandblasting the whole thing. Sandblasting the plow yourself can be a lengthy process, and could sometimes take a whole day. The equipment being used and how abrasion resistant the paint is both go in to determining how long it will take you. Knowing that your time is valuable, you might want to price out how much it would cost you to do it yourself vs. the price options offered through other businesses or even finding a facility that offers chemical stripping. After the sandblasting or stripping, you could bring it somewhere to get powder coat reapplied, as mentioned earlier, or you could prime and paint it yourself. Tip # 5 – CUT & WELD: For refilling pits or holes on your snowplow, you should cut the corroded material out and then weld in new material. Then it’s the same process for small patches; smooth the area out with a disk grinder, prime it with some zinc based primer and spray on the paint. Hopefully these tips will help you get your snow plow looking like new again and get it prepared for the next winter season.